This exterior door handle is perfect for outdoor pedestrian gate installations that are equipped with the D-6045 or D-6047. This is for the outside of the property coming in. The lever handle would open the gate to then pull it open and enter the property. There are two lever handle functionality to choose from. Classroom functionality will allow general access after the handle is unlocked by the key. Once unlocked by the key anyone can use the lever handle to open the gate. Storeroom functionality is designed to give high levels of security. 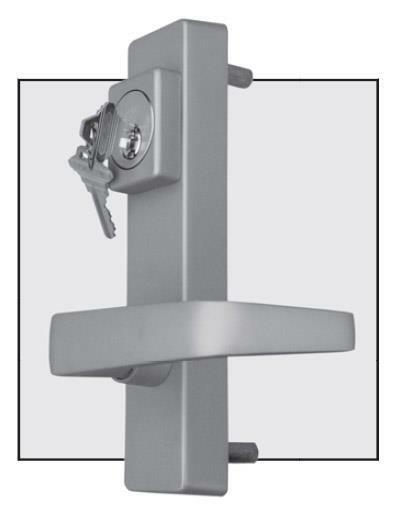 The lever handle can only be used in conjunction with the key. Every time it is opened the key must be used to release the lever handle. The handle can be field changed to be a right or left hand mount very easily.